We have this thread at DTF, so why not start one here too? Post your recommendations for reference books about animals, whether they be mammals, insects, birds, fish or whatever I'm sort of a bibliophile anyway, so this was bound to crop up eventually. ...but I did not find it comprehensive enough. I would like to have as many species as possible, with good information and photos. Sort of like a Princeton Field Guide. I am also getting The Complete Illustrated Encyclopedia of Birds of the World: The Ultimate Reference Source and Identifier for 1600 Birds, Profiling Habitat, Plumage, Nesting and Food by David Alderton for Christmas this year. I would like to get The Illustrated Encyclopedia of Animals of the World: An Expert Reference Guide to 840 Amphibians, Reptiles and Mammals from Every Continent by Tom Jackson too. Does anyone own it? I agree we should have such a book recommendations thread here, too, so it was a good idea to bring it up, Tyrantqueen. I'd like to recommend this for all shark enthusiasts who like to know how to identify different shark species. 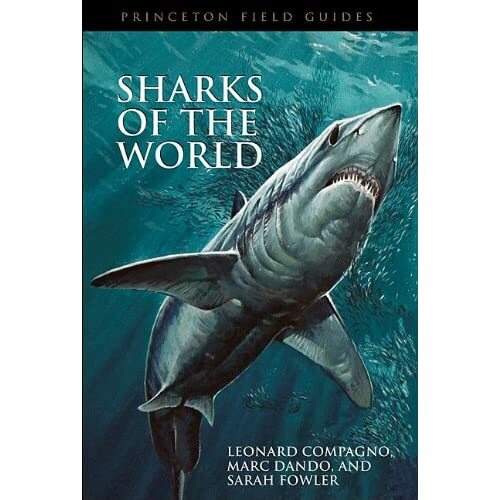 Compagno is one of the world's leading shark experts and the book includes virtually all extant shark species with a short description, diagnostic features, geographical & bathymetric distribution, and very good colour drawings. As opposed to Gregory S. Paul's book, the taxonomy used here is widely accepted. It is, as usual for a field guide, much smaller in its dimensions. Of the shark books I have, this is them most comprehensive. I'd also like to know if other members can recommend more books from the Princeton Field Guides, so any thoughts about them would be helpful! 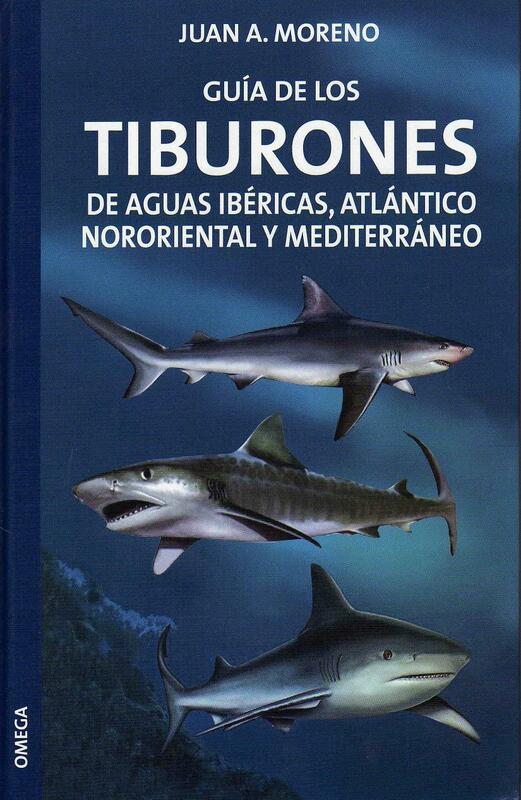 In Spain we find these books that tehy are amazing because they have currently information and a lot of images of sharks. These books are Omega editorial. The firts is it: Sharks of the world. And the second is the old version but they have another format: Sharks of Iberian water, North Est Atlantic and Mediterranean sea. I have these books and I have not found better books in my country . I search book about birds anatomy. Preferable with descriptions of anatomical differences between birds' groups and families. Any recommendations? Jetoar, I'm pretty sure that this is actually the Spanish edition of the Princeton Field Guide. The authors are the same, the book covers 440+ species and the artwork on the title are the same drawings (if I remember correctly they were done by Marc Dando) that are in the Field Guide. So you are searching for books that focus on morphology and bird evolution? My knowledge about those is pretty slim, alas. I have quite a lot of field guides (and could recommend some of them) and they do contain characters to identify the species but they are generally not that morphology based to explain anatomical differences between families and don't list apomorphies. Maybe somebody else here can help and recommend some? Thank You so much TQ!!!! Brontodocus, thank You too! Well, I think the book recommended by TQ will help me to start somewhere hah Maybe I shall search books about particular families of birds, one book with them all plus with descriptions of anatomy may be hard to find indeed. Ok rehÃ©n i have the Spanish version of this amazing book . Thanks for your answer friend. I'd also like to know if other members can recommend more books from the Princeton Field Guides, so any thoughts about them would be helpful! I'd be happy help! I'd highly recommend all of the Princeton bird field guides. There are two main varieties, illustrated checklists and actual field guides; both serve the same function. The former tends to be slimmer, has less, text, range maps are in the back, and the illustrations are good but very painted looking. Some are better than others. The latter group is all excellent, but the more recent additions seem bulkier with more text and a different layout (no color plates, just illustrations next to each entry). I'll tell you more when I have more time. Ah, thanks for the info, Varanus! Do you have other field guides by them, too? I am especially interested in "Whales, Dolphins, and Other Marine Mammals of the World" and "Carnivores of the World". Oh, and I've just seen how many bird guides they have! Collins makes some great guides--Europe, African (large mammals and all mammals), and even an endangered mammals (although, sadly, it is becoming a bit of an extinct-mammal guide). I have a few different carnivore guides too. What I want is Freshwater Fish guides (beyond just cichlids)! Anyone out there have one to recommend, in particular for Africa and South America (North America is easy, I've got lots)? Other than the Baensch Aquarium atlases (which aren't location specific). Does that book include rays and chimaera as well? You might need to get group-specific (eg lizards-only, snakes only) or area-specific references like this. A book that comprises the entire realm of living reptiles might actually be impossible! No, it's just sharks. But containing 440+ species it really is comprehensive. Even huge genera like Etmopterus are mostly complete and a few are figured that haven't been formally described, yet. 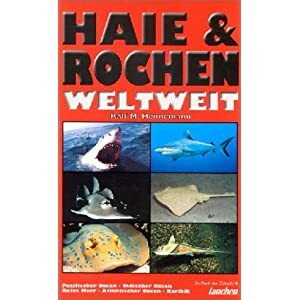 There is a good one that includes the most important sharks, rays, and chimaeras of the world by Ralf Michael Hennemann "FischfÃ¼hrer Haie & Rochen weltweit"
but it seems to be sold out and is only in German. The book is much better than its cover looks like but it is heavily based on photographs rather than scientific drawings which is often not helpful when diagnostic characters are obscured in a photo. Unfortunately, my freshwater fish guides are only focusing on European Species, so I can't help with those. German, sold out and photograph-heavy don't do much good! It's interesting that I can only find reference to freshwater guides for Europe and N.America (I'd bet there's an Australian one out there though). Could this have anything to do with the huge task of trying to organize and list the freshwater faunas of Africa, Asia or South America? Other than aquarium atlases, which also tend to be photo-based. Yes, that and the fact that Europe and North America are the best studied continents regarding fauna. I'm thinking about getting the Princeton Field Guide Parrots Of the World, the illustrations look lovely. I think Princeton gets a thumbs up all round from me since their guides are usually fantastic. Thank You so much TQ!!! I don't have those two, but I have looked into them and they seem really good! One of my goals in life to is to get enough field guides to cover every terrestrial vertebrate species in the world! I'm almost done with birds, mammals are half way done (but finding comprehensive guides to them is really difficult), reptiles and amphibians will be the stumbling block probably as there are some major holes. Here's a list of all the guides I'd recommend for various regions of the world. Since it's a long list, we'll start with birds. - Field Guide to the Birds of North America (NatGeo, 6th, 2011): Extremely comprehensive and all around excellent! - Birds of Britain and Europe (Peterson, 1993): good but not great, anyone have a more up-to-date bird guide to this area? - A Comprehensive Illustrated Field Guide to the Birds of Africa South of the Sahara (Struik Nature, 2003): highly recommend, all around excellent! Princeton recently released two other bird guides, one to Mongolia, and one to the "-stans" of central Asia. I suspect both are excellent. A third, covering Hawaii, the tropical Pacific, and New Zealand, is quite poor with little text and poor illustrations, the only thing it has going for it is that it's up-to-date taxanomically. If your keeping track, you'll notice that a number of random islands (mainly in the southern hemisphere and the Atlantic) and the Lesser Sundas (Sulawsei, New Guinea, etc) don't have guides in production. Princeton has been planning a guide to New Guinea for several years and it's due to come out some time next year, but it's been delayed a number of times before so I'm not too hopeful. Antarctica is essentially covered by these other guides. - Eastern and Central Reptiles and Amphibians of North America (Peterson, 1998): Really needs an update, little distinction between what are subspecies and what are full species which gets confusing, range maps in text away from color plates. - Field Guide to the Frogs of Australia (CSIRO, 2009): Excellent all around! - Lizards of the American Southwest (Rio Nuevo): highly recommend, excellent photos, lizard finding tips for each species, and good notes on range and variation. 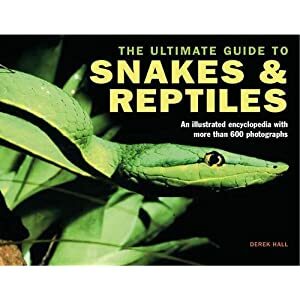 If only a similar guide existed for other reptiles! Biggest holes are most of South America, Mexico, the West Indies, the Lesser Sundas, random islands, much of Asia, and much of Africa. Guides exist for Madagascar and Central America, but they're pricey and I don't own them yet. Non-comprehensive guides exist for many regions, those about south and east Africa seem close to being comprehensive though. A series of three guides exists for South America and seems quite good. Guides exist for China, Southeast Asia, India (not comprehensive), Madagascar, and New Zealand. The most difficult group to finds books for, perhaps I should search by family rather than by location. Books exist for Europe; New Zealand; the coasts of North America, Australia, and Europe; and there's an out of print book on Australian freshwater fish. Inverts: Princeton makes two excellent guide to the dragon and damselflies of North America (east and west). For butterflies I prefer the Kaufman guide for North America. Oxford makes guides on the stick insects, grasshoppers and katydids, dragon and damselflies, and butterflies of Australia. I have the butterfly one and it's excellent. Other insect guides out there seem to be restricted to Europe and Nw Zealand. Less than comprehensive guides exist for other regions. I have other books I'd recommend, but I'll save those for another giant post! That's quite a goal. Thanks for the information and recommendations, that is very helpful. That exhaustive list of field guides might make a really useful first post in a separate field guides thread, too Why not?